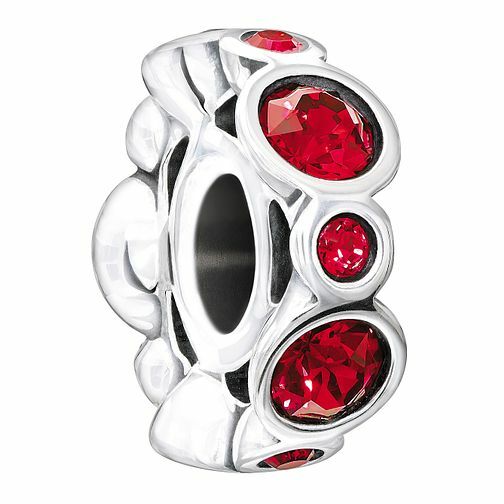 A pretty sterling silver and crystal charm symbolising garnet, the birthstone for January. Discover all the ways to express yourself with one of a kind jewellery that reflects your life and experience. Inspired by your personal sense of style, Chamilia jewellery is as unique as you are. Chamilia Birthstone Jewels January Swarovski Crystal Charm is rated 5.0 out of 5 by 2. Rated 5 out of 5 by Anonymous from Birthday present Bought this with money I had for my birthday great charm . very pleased. Rated 5 out of 5 by Anonymous from As expected As expected, fast delivery. Gift for someone else.